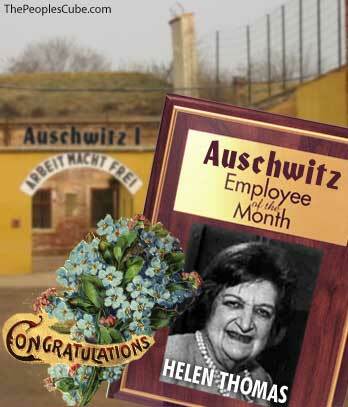 Here's a short video of Helen Thomas telling Jews where they can go. Like all good Progs the only thing I hate more than Tea Baggers are those dirty Jooz Zionist occupiers with their big noses who sit around all day counting all their Jew gold when they aren't out kidnapping children and using their blood to make matzos. I wish someone (preferably a Socialist) would round them all up and throw them in ovens, because the holocaust never really happened. 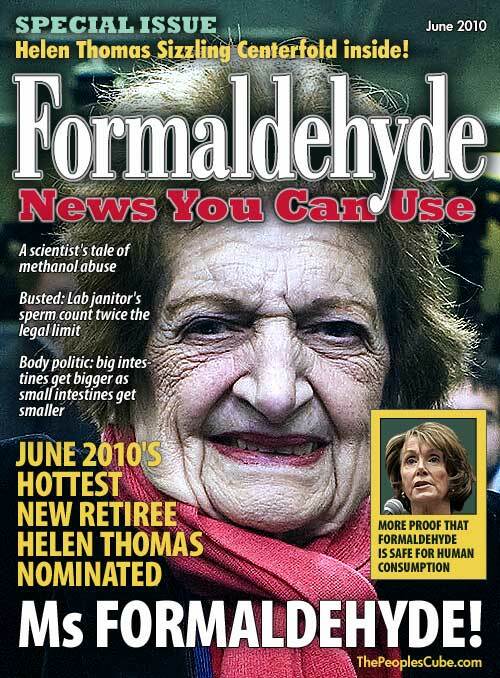 BTW: That Helen Thomas is quite a hottie. I can tell she doesn't have health insurance because she's got "fine" written all over her. I don't know why she even bothers to put on lipstick because it doesn't help she doesn't need it to look strikingly ugly lovely. Normally Nazis are not my cup of tea (still miffed at the Stalingrad thing) but in this case I see the logic and wisdom behind Ms. Thomas' comments. And I find people with no neck intriguing. The socialists are a useful front force to position the land for true collectivism. The People are gaining ground Comrades! Sleep with your shovels near at hand. The world's ugliest dog, Miss Ellie has died...Why can't Helen Thomas? Ohohoho!!!! Love the floating stache. National Socialist Workers Party of Germany has found its long-lost spokesman. Our friends at IOTW having fun with this. Oh my! All those years of devoted service to the Party and now this? Somebody's headed under the Bus. The Lebanese parents of the Helen Thomas have been of teaching her well. Of course! That's it, those creepy Christian Joo lovers took her out of context. Naturally Helen is very sorry if anyone took offense...because they're too stupid to know what she meant. Ignorant redneck rubes who didn't realize that she was just saying that Jooz should be free to live anywhere they want, even Poland and Germany. Israel (spit) is just a glorified gulag set up by neo-Nazi Zionist occupiers who act like concentration camp capos to imprison their own people. Jooz don't need a homeland, they need the freedom to wander the globe like gypsies. they will let her stay. She pushes party spin- she is ok then. The Sunday shows will be filled with "what Helen really meant..."
I have no doubt that even if Hearst fires retires her and she lost her press credentials, the WH Press Corp would still let her sit in on press briefings and perhaps even ask questions. Let's face it, she hasn't been a bonafide journalist in years, I believe she calls herself a political commentator now. So really she has no right to even be there, let alone sit in the front row. Nothing but a shovel full of dirt will ever shut her up or make her go away. First: Danke to Comrade Whoopie for the heads up on Party Message ™. Second: Danke to More Equaler Red Square for telling us what we should think tomorrow. Who what would Charlie do? "All blacks should go back to Africa"
MSNBC 10:00pm "Baking with Helen"
I to be of hearing that there to be more video. It is said she to even say more. She will to be doing more of the backtracking and phoney apology. BREAKING NEWS - Helen Thomas retires. I am feeling the depress of news from our progs at Politico that our esteemed prog Helen Thomas has been asked to investigate underside of MSM bus! Black day for the collective! But have eternal hope that now that our Ms Thomas has thrown off the shackles of PC speech that she will, as comrade Gulag 4 Alfred indices, become available for WH party duties in re-education of WHCA group to realization of truth of her words! PROG ON! comrades, and fulfil the collectives destiny! If Helen not accepting of WH duties, should be promoted as Miss Prog USA, given rare blessing of visual good looks! Another Babushka under the Bus. ATTENTION all collectivists and progs! Our DEAR LEADER, Obumbler (PBUH) has released official comment on value of our esteem journalist, Helen Thomas! Notice is now made of support of glorious career to propping up of our progressive agenda, and denouncing of evil capitalist JOOs. Dear Leader has noted that Thomas has lacking of tact, but not truth, and as such no rebuking of comments as to validity! We should be proud for Comrade Thomas, and wish her grand beet harvest at new Gulag, where she should hold prestegious rank as re-deucation specialist 1st rank! A most equal creation comrade Red Square. But I fear her repeated image in the thread may be damaging my monitor. Much has been said about the number of ugly people on the Left vs. the number of physically attractive people on the Right. I truly believe that the evil and moral ugliness in a person's soul eventually manifests itself in the face. Call it nature's way of warning others to avoid this person. Like the rattles on a viper's tail. I'm glad I'm black. Black don't crack. If Helen feels that Jews ought to go back to Poland, then perhaps she believes that Tiger Woods should be drawn, quartered, and sent back to Africa, Thailand, and England respectively. Helen feels Jews oughta go back. But Helen's confused where to send him. Oh, Helen, Helen, why couldn't you speak your mind a few decades earlier? The world would have been a much better place then! Considering how much damage she has wrecked during her long career, the world would have been a much better place indeed without her steering the press corps to the left and harassing every Republican president with her inanities. Only she was too clever to say what she really believes in publicly. Now, with the kindred soul in the White House, she became too complacent. Let it be a reminder for all comrades! Never drop your guard, be vigilant! The enemy never sleeps! <off again>Come on Whoops. Lets see how you look when you're 90. Be reasonable, man! Your magazine cover is fantastically equal. Obamugabe, you're right, she was a real hottie during the last ice age. Yet another victim of Global Warming no doubt. As for her potential as a necroproxy voter, someone beat me to the punch (as usual). I am so sorry I doubted you. You are right. She actually looks much better now than she did then. I will never doubt you again, Comrade. "I'm hot for mature women." Comrade Helen had to be disappeared for the good of the People; revealing the secret ingredients inside the Peoples' Own Media is an act of betrayal that cannot be tolerated as long as the forces of Fascism & Reaction question the wisdom of the inevitability of the Glorious Tomorrow ™ a class-conscious public will bring! Good point. Never tell what the family is thinking. Secrets? Of course the media has secrets, and it's Dear Leader's secrets that must be protected the most. And we should do our part here at the Cube to keep Dear Leader's secrets secret. 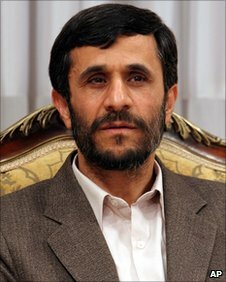 For example, Dear Leader is about to re-campaign for the health care bill to make sure all Americans understand how wonderful it is, and we can do our part by spreading misinformation, like when someone complains that Obooboocare will be making medicaid cuts to hospice patients, we can say something like: "Don't worry, people will have free end of life counseling to decide if they are worth medicating, so hospice stays will be much shorter now. Obama to Israel (wealthy 1%) : We have your back! We are all in; no different than defending TX AZ MN or Calif or white voters in Chicago or white executives in the Chamber of Commerce or Egypt or Kaddafi or non-solar panel jobs in the US. And Herman Cain didn't mean it when he called me a liar. Helen Thomas' ancient mic found.